South Korean police on Saturday prevented activists from launching anti-Pyongyang leaflets to North Korea, citing an agreement reached at a historic inter-Korean summit last month. 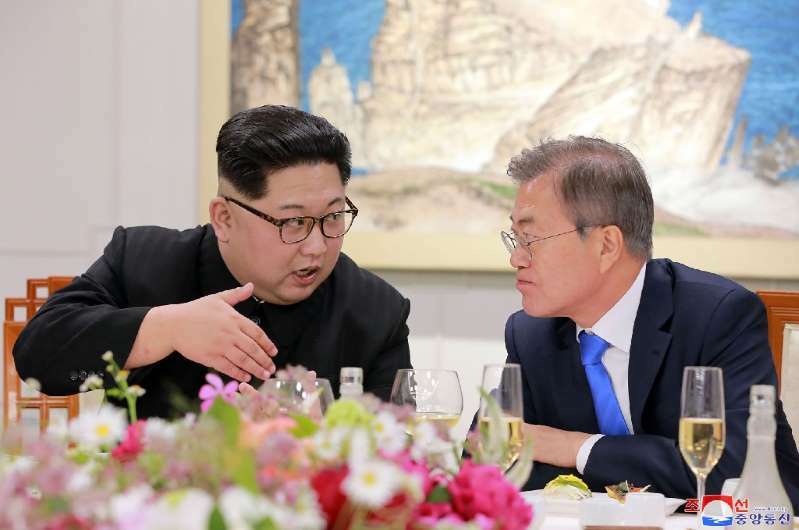 North Korean leader Kim Jong Un and South Korean President Moon Jae-in agreed to restore peace and reconciliation and cease all hostile acts when they met at the border truce village of Panmunjom on April 27. "Hostile acts" include broadcasting through loudspeakers installed along their tense border and distributing propaganda leaflets to each other's side. Accordingly, the two Koreas removed their propaganda loudspeakers this week. Some 300 police were deployed at a public park in Paju City near the border where a group of some 20 activists including defectors from North Korea gathered to launch leaflets by gas-filled balloons. Police kept the activists apart from a rival group of some 40 people who accused them of seeking to ignite confrontation with the North. "Stop provoking a war," they chanted. Police surrounded a small truck carrying some 5,000 leaflets, plastic balloons and gas canisters, preventing the activists from unloading them. Park Sang-hak, a leading activist and former North Korean defector, said South Koreans were "intoxicated by Kim Jong Un's peace offensive" even though the North has not changed at all. He vowed to continue efforts to send leaflets over the border to "let North Koreans know the truth" and "bring an end to the North's Kim Jong Un regime".